The 2012 Creative Arts Emmys winners were announced during a ceremony held at the Nokia Theatre in Los Angeles on September 15. The ceremony focuses on the technical categories - including casting, make-up and cinematography, but also awards guest actors and reality TV hosts. Showtime's HOMELAND won the first Creative Arts Emmy Award for the night, for Outstanding Casting in a Drama Series. But it was GAME OF THRONES that picked up the most wins with six. Here's the Complete 64th Primetime Creative Arts Emmys Winners listed in PDF format. They are all very good pictures. There are some things that stand out though. Christina Hendricks looks great and the last thing I would want her to do is wear a dress that shows her ample cleavage. We know she has one and I think she looks great, as opposed to a few other women in the pictures who want to show as much as possible. Emily Deschanel - not bad - I am waiting to see The Fashion Police, with some of these photos - she will have a field day. Which brings me on to 3rd picture, Malin akerman. 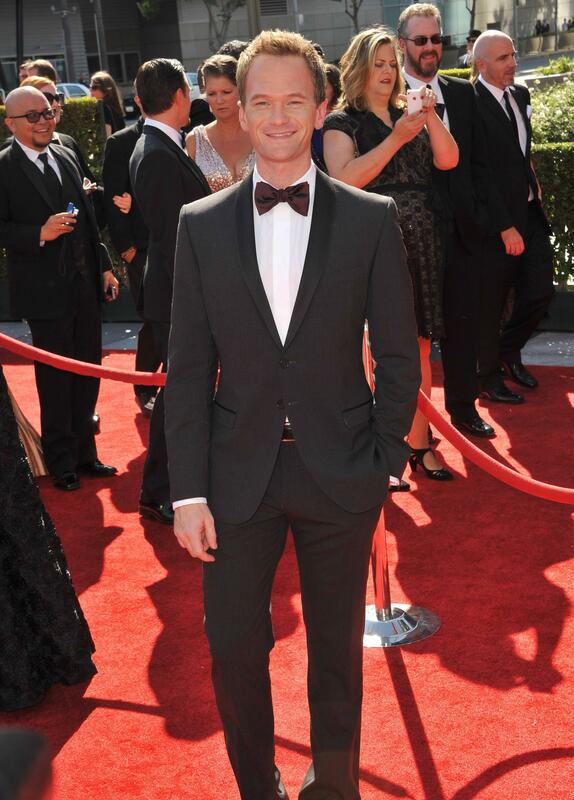 4th picture - Neil Patrick Harris looks suave - do women always want to see men in suits? Woman are also very colourful. 5th. seth/Clare - Nice dress but I feel it is sliding down... perhaps it has had an argument with her breasts? Either she should wear lower heels or he should get higher ones? 6th Kathy Griffin - nice and colourful, seems to suit her demeanour. 7th - we all know Michael Fox - he has a lovely brood, he should be and probably is proud. Jennifer Morrison, I think she looks fine in that dress. Perhaps she could have dyed her hair redder? Or perhaps not? 9th Lake bell. I'm not a fan of shoulders raised up with padding but I personally think the looks good in that dress. Lisa Kudrow. Being honest, I would like to undress her and put something else on her. Not because I fancy her either. 11th Morena Baccarin - Nice dress too. If she stood with her legs apart, could we see through it? Brenda Strong, don't like the shoulder pads. I like the dress otherwise. 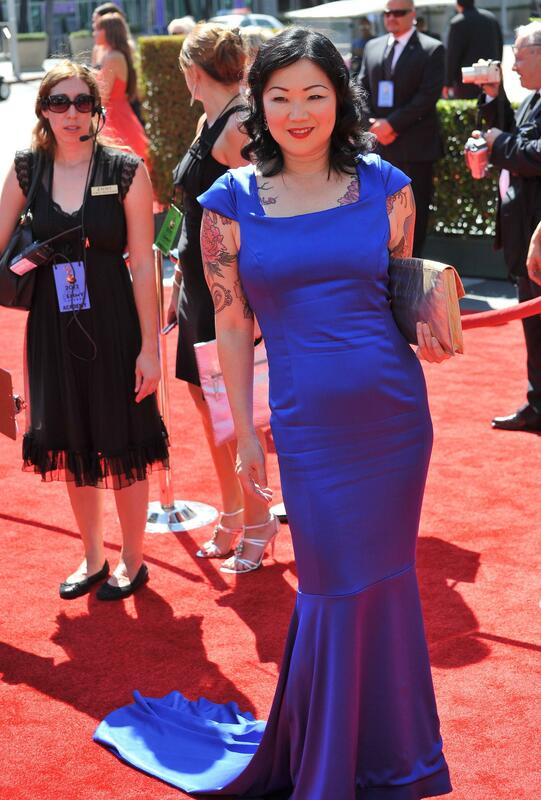 13th Margaret Cho - she chose right. Nothing too flashy with her floral decorations. 14th Victoria Justice - I like it. 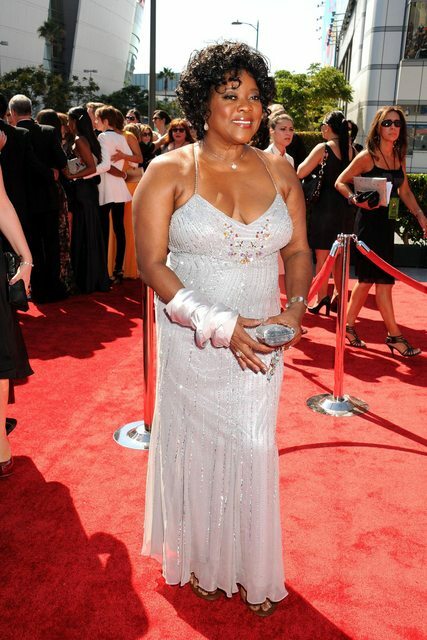 15th Loretta Devine - I'm not sure, I think her pose is wrong. You can ignore all that I have just said if you so choose. BTW Chris, 'Heathen GlauGirl Nymphette' made a picture using Summer glau and Charlize Theron. She picked, for me, the worst picture of Summer imaginable, as you know we disagree on this. I wanted to say something Heathen glauGirl Nymphette, as she can give as good as she gets. I decided to say nothing. (She is in a wheelchair BTW). I decided to write about the Primetime Creative Emmy Awards for several reasons; firstly there's a lot of familiar faces on the red carpet, whether you saw them on tv with Summer Glau (Christina Hendricks on Firefly or Loretta Devine in Grey's Anatomy) or simply because you watch the series they play in. Secondly i have always the hope that Summer Glau will be in the public spotlights again and that we will see her walking the red carpet at the Emmys one day. If you want to see more HQ photos of one guest in particular, you tell me.